Finding an insurer who will cover you if you are delayed or stuck abroad due to volcanic ash eruption can be tricky. Our guide to both who covered what last time around and their situation. We have been tracking insurers who can help those seeking cover against delays resulting from Volcanic Ash Clouds and other natural disasters since 2010, and have been featured in articles such as the Guardian's guide Volcanic ash and your travel insurance - what you need to know if Katla erupts as a result. So, if you want to find insurers who can help you if a natural disaster occurs, read on - and, if you want more detail about a few of the leading policies in this field, also refer to our Volcanic Ash Travel Insurance pages. Here we summarise leading insurers' performance last time round and whether or not they now offer protection if an event occurs in the future. Do be aware that, if an incident has already occurred, different rules apply - you are unlikely to be insured if this is the case - although an exception is Direct Travel, who do offer limited cover immediately and fuller protection after 7 days. During the last incident outbound customers were not covered for claims under the Travel Delay section if caused by volcanic ash disruption. Customers were advised to contact their airline, tour operator, or airport directly to obtain up to date information on travel plans. Where airlines offered alternative travel dates, AllClear would transfer the policy to the new travel dates. During the last incident Avanti did not cover for volcanic ash impact. Customers were recommended to speak to their airline, tour operator or the Foreign and Commonweath Office. The company now offer Ash Cloud Delayed Departure Cover within their Deluxe Cover Insurance, which covers delayed departures but not abandonment or missed connections. Aviva covered claims in 2010. They now offer an Airspace and Port Closure upgrade on their policies. This means that if a port or airport is closed for any reason you can claim for accomodation, alternative transport, or cancellation. The policy cost around £5 per person on a single trip policy, £10 p.p. on a multi trip. The maximum number of children charged for on a family policy is two. The policy will not cover you if you knew, at the time of buying the insurance or booking the trip (whichever is later), that you would be unable to travel. This rules out buying the policy after an airport has already been closed or it has been announced it will be closing. The company will also, at a point during a 'live' event class it as 'known', and any policies bought after that time will no longer offer protection for claims related to it. No claims were covered as a result of the last volcanic ash situation. Debenhams policies include cover strike action as long as either it was not either announced or planned for at the time of booking either the policy or the trip, whichever is later. Boots offer a Trip Disruption Policy add-on. Their insurance products are arranged by Infinity Insurance Solutions Limited. As well as covering cancellation and abandonment on the outbound flight Columbus also offer a get you home upgrade as an addition to their Gold policy. It costs £20 per policy and covers up to £4000 of additional expenditure. Will not cover you after the event is terms as a 'known event' so check the companies website and speak to the company if in any doubt. Cancellation and Abandonment due to Volcanic Ash issues was not considered an insured peril during the last incident. 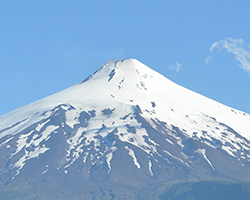 The company did agree to compensate customers for certain volcanic ash travel claims following the decision by their underwriter, Axa, not to pay out most claims, however they are now explicit in excluding volcanic eruptions and/or volcanic ash clouds from cover. No cover was provided for claims as a result of the volcanic ash impact. InsureandGo policies now offer an optional Travel Disruption Upgrade which includes cover for travel delay and holiday abandonment of up to £1,000 if your outward or return international journey is delayed for more than 12 hours because of a strike or industrial action. Company did not provide cover in 2010. Now cover provided within their Natural Disaster Cover bolt on which covered unused accomodation (if you couldn't reach your destination), or additional accommodation if stuck abroad and travel delay. Post Office policies purchased from the 15th April 2010 will not cover any claims arising as a result of the volcanic ash incident once it became a known event. No cover is currently offered. Other than extending cover until policyholders returned to the to the UK for claims unrelated to the closure of airspace such as medical expenses, personal baggage and money American Express Travel Insurance did not cover claims for previous eruptions. They exclude such risks from current policies.